Northern Virginia Cast Stone is a leading manufacturer of architectural cast stone and pre-cast concrete building elements. 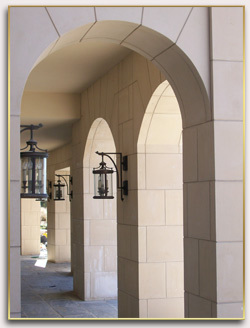 Cast stone is an architectural concrete used to enhance the look of buildings, homes and landscape design. Northern Virginia (NV) Cast Stone creates high quality pre-cast building materials that meet the most demanding specifications in residential and commercial construction projects using the standards set by the Cast Stone Institute (CSI). For our contractors in addition to providing all their cast stone needs, NV Cast also provides prefabricated masonry arches, saving both time and money. Please contact us today. We would appreciate the opportunity to work with you on your upcoming project and we thank you for visiting our site.